If you told me the same thing now, I would reply in the exact same way. In fact, I would have even more great things to say because I have learned so much about CCI (Center for Cultural Interchange) and all of its fantastic programs over the past 15 months. In addition to the Academic Year Program, which brings hundreds of international high school students to the U.S. each year to live with host families, attend school and participate in great cultural exchanges, CCI also brings university students to work, travel and have an internship in the U.S. through the Work Programs department. The Short-Term Programs department also offers a myriad of options for young people to participate in language clubs, direct school exchanges or stay with American host families for shorter periods of time. Just as it’s important to bring international students here, so they can experience life in the U.S., it’s equally important to provide those opportunities to American students and send them abroad to learn about other cultures. CCI’s Greenheart Travel department provides such an opportunity, with programs for American citizens to teach abroad, volunteer abroad and attend high school abroad. Maggie Doyne is a perfect example of how someone could benefit from such a program – from her experience traveling and volunteering after high school, she was inspired to make a difference in Nepal and started the Kopila Valley Children’s Home. Volunteering and giving back to one’s community is an important part of CCI’s mission as well through its Greenheart initiative. 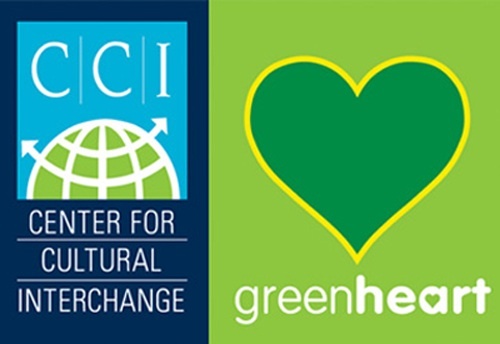 CCI is known as the “Greenheart of Cultural Exchange” because each of its programs offers all of its participants grants and support to do environmental and social volunteering while abroad. CCI encourages participants to collaborate with their new host community and work on projects to make positive change in a sustainable way. These experiences not only enhance the participant’s program, but also help make a difference in communities around the world. 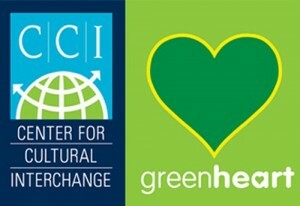 We are very proud to announce CCI and Greenheart as a sponsor of Opening Our Eyes. We feel that their mission is perfectly aligned with the project and we look forward to future collaboration in promoting the importance of cultural exchange and how one person can make a positive difference in the world. This entry was posted in People Making a Difference, Philanthropy, Travel and tagged adventure, Blinknow, CCI, Center for Cultural Interchange, children, cultures, exploration, Greenheart, helping others, Maggie Doyne, making a difference, sharing, traveling abroad, volunteering, volunteers. Bookmark the permalink.